Success in any vocation includes having the right tools to accomplish your goals and objectives. If you’re thinking about building a website for your business or starting a blog, then WordPress is more than likely to be the right tool for you to succeed online. WordPress can accomplish what you have designed it to do, and can be enhanced through the use of various tools within the platform as well. If you currently have a business website on the WordPress.org CMS platform, then you’ll be aware of the power of plugins. • A quick and easy connection to view Google Analytics reports from your WP dashboard. • Setting it up is simple and fast. • You will get real-time data to work with. • It provides universal tracking across various devices and platforms for improved demographic data. • You also get ecommerce, ads tracking, custom dimensions, events tracking and much more. The data you capture using this plugin can help improve your bottom line by utilizing targeted marketing rather than mass marketing. Don’t just wait for clients to come to you, go out and find them using data gathered from MonsterInsights. • Improve SEO ranking, especially with mobile-friendly sites. • Increase overall site performance. • Make your pages render more rapidly so you won’t lose customer interest. • Improve web server performance, and a whole lot more. Through the use of this plugin, you can vastly increase your odds of getting noticed among that long list of competitors and get more conversions for your efforts. Discover what the W3 Total Cache plugin can do to increase your bottom line. • Customizable integration with WordPress. • Optimized notifications that can be configured to fit your specific needs and preferences. • Ongoing development for future integration to various other plugins. By enhancing communication of your team members, you can present a more professional and seamless experience to your clients. Learn how to integrate Slack into your business website today. • Handles any issues WordPress might have with SSL. • Automatically fixes any unsecure content on your site. • Redirects incoming requests to safer https format. • Changes your site url and home url to the safer https format. These are just some of the ways this plugin can help provide those who visit your website with a safer experience, which in-turn builds their trust and confidence in your brand. Provide that added security on your site using the Really Simple SSL plugin. • Backup profiles for themes, media files and plugins. • Customize your backup profiles. • Backup specific directories within or outside of WordPress. • And that is only the beginning. Repeating work that has already been done because it was lost is not only frustrating, but it costs you time and money. If you want to be sure that your WordPress work is secure make use of the BackupBuddy plugin. 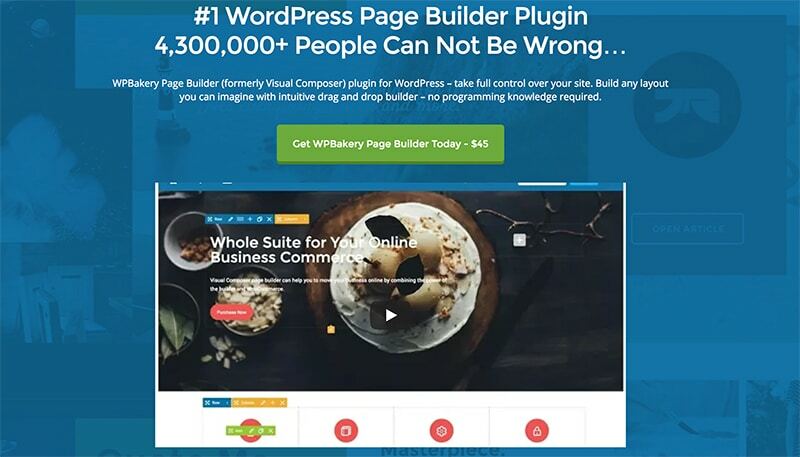 • You get easy integration and installation to your WordPress site. • Allow the establishment of forced page and post options. • Editing pages is easy and convenient. • There are plenty of pre-built legal templates to make use of. Navigating through the legal aspects of your business contracts can be time consuming, but you can help speed up that process using this plugin. Find out how WPLegalPages can help save your business time and money. • Simple and quick forms can be built within minutes instead of in hours and you don’t have to be a programming whiz to do it. • Customizable, pre-built form templates with smarter workflow help to add to the simplicity of using them. • All of the fields and features that you need to develop an attractive form are available at your fingertips. • Editing and adapting the forms to meet your changing needs is also supported. With these features, it is easy to see how easy integrating a contact form with WP Forms can be. You can use them to help add to your email list, help qualify and classify various types of clients, to provide improved customer service, and much more. Learn more about how WP Forms can help improve your business website. • Tailor the type of information you want to collect with customized data fields. • Forms that match your existing WordPress themes and styles. • Creating clear and simple forms that are already mobile-optimized to be easy to use from any device. This list of features is only a sample of the quick and easy solutions available for making certain that you do not lose contact information of clients and potential clients. Take a moment to learn more about integrating Constant Contact into your business website. • Simple markup can be used to customize forms or mail contents with a great deal of flexibility. • It supports Ajax-powered submitting and CAPTCHA. • It also supports Akismet spam filtering and much more. Your bottom line can suffer if you spend way too much time sorting through multiple contact forms, especially if there tends to be a lot of spam. 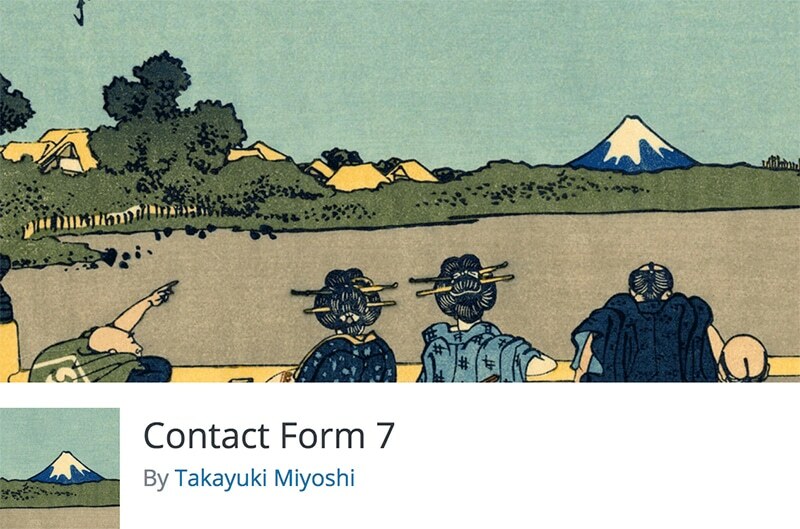 Cut your losses by making use of the Contact Form 7 plugin. If your business has a physical location which your customers need to navigate to, you want to make things as easy as you possibly can so that you are certain that they walk through your door after visiting your website. You can increase the chances that your physical location will be found by including the Google Maps Builder plugin on your WordPress site. What benefits might you take advantage of by using this plugin? • Accurate and reliable information for locating your business. • Lots of customization options. • And top level customer support. The broad range of options and features of Google Maps Builder makes it one of the best ways to insure that your potential clients find your physical location where you can convert their interest in your goods and services into sales. Check out how Google Maps Builder can help make it easy to increase your bottom line. • Automatically filters out comments that appear to be spam. • Maintains a status history of filtered comments so you can quickly scan and draw out those which might not have been spam. • Urls are exposed to reveal those which might be hidden or misleading links. • Moderators can view the statistics related to approved comments by each user. • Discard feature for removing outright spam and allowing you to save disk space and rendering time on your site. Utilizing anti-spam filtering can save you and your employees time and money while allowing you to more rapidly serve legitimate clients and potential clients. Make use of Akismet to streamline spam filtering on your website. • Support for multiple staff and services. • The ability to assign various employees to different services. • Date and time configuration options. • Easily embedded booking forms. • And tons of other features to help facilitate online scheduling. A streamlined scheduling platform can help provide for better organization between clients and various members of your team so that you can be certain that you don’t miss any valuable opportunities to serve you clients and potential clients. Make use of BirchPress to help make a big difference in online scheduling. • Add an easy to customize click to call bar to your site and it will show up at the bottom of the browser window on smartphones. • It easily integrates with Google Universal Analytics for adding events. • Lead generation, restaurants, retail stores and other small businesses that rely on phone contact will benefit heavily from this plugin. Getting a higher percentage of mobile users to press that call button and contact your business can be facilitated by making it almost effortless for potential clients to make a call. Don’t miss calls that you should have turned into sales by adding on the Really Simple Click To Call Bar. • Assisting you in composing top-level content. • Optimizing internal linking structures to make your site a breeze to navigate. • Advanced sitemap functionality at the push of a button. • Full control over site breadcrumbs. • As well as an abundance of other free options to choose from. You can hardly afford to have your business lost in the deep, multiple pages of search engines if your business heavily relies upon website generated sales or advertisement. RankMath can help you raise your game when it comes to on-page SEO, which may help you move up in the rankings where your goods and services will be exposed to a higher number of seekers. • Simple to insert scripts. • The ability to add Google Analytics code on any theme. • Easily inserted Facebook pixel code. • Quick setup and easy integration. • Sell physical and digital goods of all shapes, sizes and types from anywhere in the world. • Setup shipping to any location you like without additional charges. • Offer a broader range of purchasing options. • Maintain complete control over your sales and the design of your storefront. Efficient processing whenever you make a sale is one way to significantly boost the income your business brings in. Setup WooCommerce to help quickly and efficiently process the sales on your website. When utilizing a template theme to design your website there are always items that don’t fit your needs, expectations or personal preferences and you have to add shortcodes in order to add those slight alterations. The problem you run into when you do this is that if you choose to change themes all of those codes are lost. You prevent this from happening through the use of the Symple Shortcodes plugin. What are some if its features? • Its 100% GPL, so you can use it and abuse it. • You get visual drag and drop composing. • More than two dozen different types of shortcode options are included. Customizing your website to fit your overall brand recognition is difficult to do with cookie-cutter themes, so the ability to add shortcodes without the fear of losing your work if you change themes is a super solution when it comes to customizing your site. Safely add shortcodes to your site using the Symple Shortcodes plugin. • Embed tables or charts into your pages, text widgets or posts. • Edit the table in a spreadsheet format so you won’t have to do additional coding. • Include either data or formulas in the table’s construction. • Import and export from a number of different source applications. Adding tables and charts to content, pages and text widgets is a great way to communicate a large amount of information in a way that makes it easier to read. Make use of the TablePress plugin on your WordPress page. • Place your FAQs in a toggle or filtered toggle style list. • Quickly and easily edit style, text, border and backgrounds. • Customize CSS box to override default styles, and more. When getting answers to technical questions could make the difference between making or losing a sale, adding FAQs to your website could be a major moneymaker for your business. Install the Quick & Easy FAQs plugin on your WordPress site to see results. • Create, rotate and manage various advertisements and promotions. • Provide you with statistics concerning which ads were the most appealing to users. • A wide variety of display and publishing options. • Plenty of support to help you accomplish your objectives. By rotating ads, you increase your odds of getting potential clients to click through to where they’ll spend their cash for your goods and services. Take advantage of the advertising benefits of AdSanity today. • Store your backups in the cloud. • Backup Woocommerce sites in real time. • Facilitate backup validation, restore, migration, site copying and more. • You can also scan for malware. Losing your WordPress site data, especially when your site is an ecommerce site can cost you big time. Blogvault is one plugin that you should add on if you want to secure your business. • Easily customizable Optinmonster forms and templates. • Detailed conversion statistics, and a lot more. Be sure that if you don’t get a sale, you get a future sale by getting visitors to subscribe to your website where you can send them targeted emails with special promotions and new product and service information. To accomplish this goal, you will want to make use of the Optinmonster plugin. When someone using a search engine sees search results, they often make their decision to continue to one website over another based on what they see in the snippet section when your goods or services title shows up. Making certain that they get the best view of what your site has to offer can be enhanced through the use of the AllinOne Schema Rich Snippets plugin. How does this plugin help your business? • It provides search engines with the most precise and important information to display. • Interactive rich snippets make you stand out among your competitors. • It helps you achieve higher SEO ranking. • Causes Facebook to properly display information when your search result is shared. Getting potential clients to your site is the name of the game for online businesses. If you are missing out on a lot of customers who should be clicking through to your site instead of your competitors, take advantage of AllinOne Schema Rich Snippets to get back on top. • It scales down large images and compresses them for quicker rendering when your page opens. • Cuts out unnecessary data from images for faster loading. • It is compatible with the most popular media library plugins. • Allows for manual smashing of images, and so much more. If you are serious about making conversions on your website, then having one which loads faster is going to make an enormous difference, especially when it comes to mobile browsing. Add the WP Smush plugin to your WordPress site to achieve faster page renderings. • Carry on unlimited simultaneous live chats. • Edit all of the fields in order to customize the chat box. • Have a fully automated admin chat dashboard. • Create a customized offline message. • Have live chat automatically pop up on the user’s screen. • And that is only a very small portion of the whole list. By answering questions and serving your customers instantly, you can increase your conversions rate and increase the bottom line of your business. Download the Live Chat plugin and get started providing stellar customer service in an instant. Getting the word out to a broader audience is still best accomplished via word of mouth. However, word of mouth has taken on a new form known as sharing. In order to help visitors to your site share what you have to offer, you will want the Shared Counts plugin to help you accomplish this objective. How does it help you? • By making it easy to insert Shared Counts shortcodes into your site design. • One click option to retrieve both http and https share counts insures that you don’t lose any of your shares when upgrading to https. • Creative caching methods minimize the website rendering isues. • It makes it easy to fetch the top ten most shared posts on your site. • It includes the ten most popular share buttons. The bottom line on your business will increase as more and more people are aware of your presence so sharing is an extremely important aspect of marketing your goods and services. Install the Shared Counts plugin to squeeze out the most income for your efforts. • Support for all ten Amazon affiliate program locations worldwide. • You can customize your affiliate links. • Easy to create image links and product information blocks. • Tons of call to action buttons available for your use. To get conversions from your Amazon affiliation program, you really need to optimize the links. Set up EasyAzon on your WordPress site to get the best return possible. You can also purchase the pro version here, which has loads of features you don’t get with the free version. Read my Easyazon review. 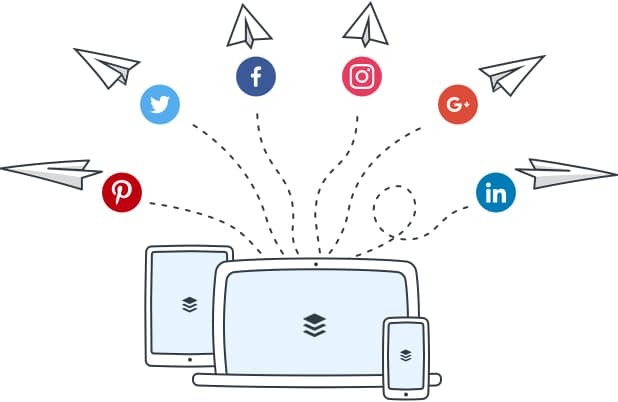 • Chat widgets to connect with your customers or potential customers in real time. • Subscribe widgets to make certain that potential clients opt into your site so you can have them on your mailing list. • Promotional widgets to make certain that your customers are up to speed on your latest promos. • As well as contact widgets, share widgets, follow widgets, email widgets and plenty of additional features. You can save yourself a lot of time and streamline the multiple avenues your customers and potential customers can contact you using this plugin. Get better control over customer contacts using GetSiteControl. Your email is the lifeline to your online business, so making certain that you receive all of the email generated from your WordPress site is an essential element in your overall success. Because it is often difficult for WordPress to process and deliver your emails in a timely manner it is necessary to make use of the WP Mail SMTP plugin. How can this plugin help? • Facilitates reconfiguring your wp_mail() function in WordPress. • Allows for setting up any or all of its four SMTP setup options. • All plugins for SMTP and workflows are brought into a single plugin. • It also works with other major email hosting services. If you want to keep your lifeline open and potential customers flowing into your online business, you need to make certain that you are receiving all of your email in a timely manner. To accomplish this objective install WP Mail SMTP. If you are in the business of providing information services, one of the best ways to increase sales of your goods and services is through ecourses or online internet courses. To setup that sort of a service you will need the MemberPress plugin. What will this plugin do? • It will fully integrate with your WP Courseware program. • It has simple and basic configuration steps to get started. • The courses can be linked to a specific product. • Automatic registration of students is completed with the purchase of a product. To seamlessly enroll students who are using your products for extended education opportunities you will want to make use of this plugin. Check out how the MemberPress plugin can help you. • Front end site registration is part of your content instead of native to the login page. • Allows for a customized look and feel. • Blocks posts, pages, blocks and content types from non-registered users. • Notifies the admin of new members. • Automatically generates teaser excerpts from content. • And more than 120 actions, filters and hooks for customization. Keeping those who have not paid for a membership to restricted content on your site is important when it comes to maintaining your bottom line. Make certain that your content does not get spread around to those who have not paid for it by using WP Members. Higher rankings in search engines is essential for any and all online businesses. Achieving better indexing from search sites is another way of improving your site’s rankings. This can be accomplished using the Google XML Sitemaps plugin. How does this plugin work? • It supports all WordPress generated urls as well as custom urls. • It provides a detailed XML sitemap for all search engines. • It does not break down your site or slow its performance. Increased exposure in the marketplace is always an objective of any business. Increase your exposure by increasing your rankings with the help of Google XML Sitemaps plugin. • Allows you to build and manage your content without being an expert. • You can work with any WordPress theme. • There are tons of addons, templates and content elements to choose from. 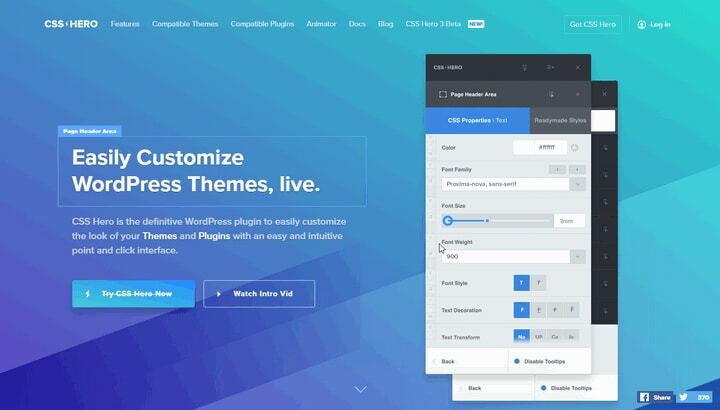 • You can even design your own page theme if you can’t find one that you like on WP. • There is plenty of professional support available if you need it. Rolling out a custom website that has you and your brand’s own touch is a great way to inject your personality into the design of your website. The recipe for a DIY website is simple; WP Bakery. • Automatically post content updates to the social media sites of your choosing as the content is published. • Allow you to schedule when posts will be updated on social media sites for most timely exposure. • Allows for dynamic tags, complete image control, bulk publishing, multiple customizable status messages, and a whole lot more. Spreading the word at the best time so that the most targeted users will be updated about content that has been added to your site is an essential strategy for drawing users and potential customers to your site. Make use of the power of the Buffer plugin to help you accomplish this end. • Allows you to create links your way. • It provides affiliate link cloaking and url shortening. • You can utilize split-testing to optimize your site. • Track campaign results quickly and easily. • Cause your links to go viral. Optimize the links that are present in your campaigns so that you can get the most out of your efforts without investing a ton of time. 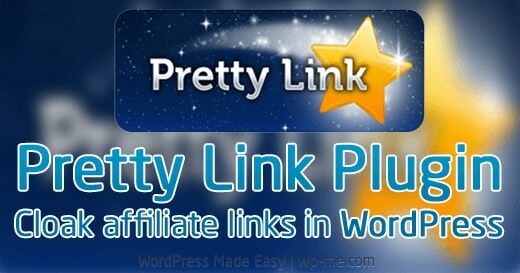 Download and make use of the Pretty Links plugin. • Helps you to easily create tweeted text from your content for your followers. • Those who know CSS can fully customize it. • It is able to selectively remove urls from resulting tweets. • The ability to create nofollow links for those who are SEO conscious. You can get the most effectiveness out of your tweets in order to increase the odds that you will draw followers to your site or promos by harnessing the power of the Better Click to Tweet plugin. Slideshows are a creative and attractive way to catch the eye, and hopefully the follow-through clicks, of website users who visit your site. A plugin that can help you make the most out of your slideshows is Soliloquy. What can it do for you? • You are able to create attractive and response driven image and video sliders on your site. • It is an easy as well as powerful drag and drop slider creator. • This plugin will optimize your sliders so they won’t drag down the rendering speed of your website. • It integrates well with WooCommerce. • There are plenty of pre-designed themes and templates to choose from. Creating slideshows are effective, but can be time consuming unless you have the right tools to make it a snap. Utilize the easy and quick drag and drop features of Soliloquy to create and optimizer your sliders. • Shared calendar and scheduling. • Plus a whole host of additional features and functions. Optimize how your business operates and impact your bottom line through better organization and communication. Find out how Google Apps For Work can work for you. When it comes to the educational and elearning sector on the web, managing the various course offerings, enrollment, billing and other functions can become an overwhelming task, costing you a lot of time, energy and expense. 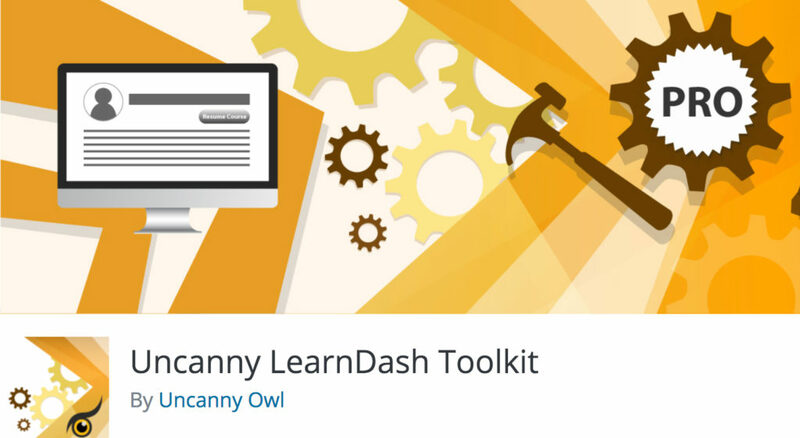 Those tasks can all be simplified utilizing the LearnDash plugin. What does this plugin do? • It has front end login that you can add to any branded page. • Includes login and logout restrictions. • Allows you to show or hide certain content from individual users. • These are only some of the more than a dozen features and functions. Keeping your online learning platform operating smoothly for the very best elearning experience and reduced administrative hassles are greatly improved through adding on the LearnDash plugin to your WP website. • Customize Word Press themes live. • Utilizes intuitive point and click interfacing for ease of use. • Control how your site displays on various devices. • Has a tons of powerful editing functions to assist your creativity. Customizing a WordPress theme allows you to add your own personality to your website in order to establish your own unique brand recognition. Download and use the CSS Hero plugin to establish the very best customized website to fit your needs. • The ability to remotely scan malware. • The active monitoring of file integrity. • Notifications of security issues. Establishing a high level of trust is a critical part of doing business online. No online business should be without some form of site security, and Sucuri is an excellent option to choose from. • Customize registration and signup forms. • Establish acceptable payment methods. • Manage users and track submissions. • Assign various user roles. • Make use of a powerful and secure login system. A lot of time can be consumed by attempting to track and manage registered users on your site and that time and effort costs you money. Facilitate easier registration management utilizing Registration Magic. • It was created to work with Contact Form 7. • Utilizes simple PHP CAPTCHA solutions, but stores them as temporary files. • Creates two files, an image and an answer. 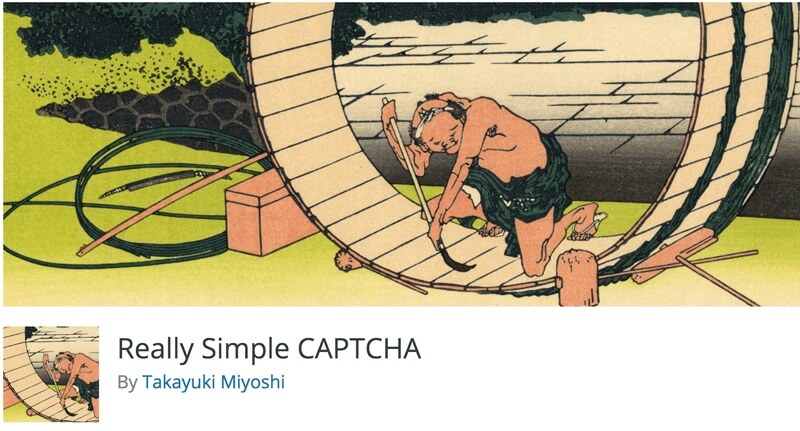 • It allows you to create random CAPTCHAs. You can make certain that all of the interactions on your business website are with living, breathing and buying humans rather than machines in order to save time sorting through the mess of input you receive. Make use of the Really Simple CAPTCHA plugin to insure that you are being contacted by the right people. • Helps make every post standout and attract the reader’s eye. • Allows you to make every page a landing page for contact and lead generation. • Integrates with your social media networks. • Lets you fully customize your presentation. Attracting attention so that you secure all of the contacts and leads possible will give your bottom line a boost. Download and make use of Fancier Author Box in order to accomplish your objective. Scheduling and keeping appointments is a sure sign of whether or not your business operates on a higher, professional level or not. A means of booking and managing appointments that can take the stress out of trying to get it right is the Easy Appointments plugin. How can it help? • Allows clients to book at their convenience during your available time slots. • Provides for flexible time management and customization. • Produces automated email confirmations and reminders. • Allows for multiple locations, workers and services. Staying on top of appointment scheduling separates the most professional and most profitable businesses from all the rest. Be one of the pros by installing the Easy Appointments plugin. • Lower page loading times. • Optimize performance by minimizing http queries during loading. • Maximize the efficiency of caching programs like W3 Total Cache. Get those page loading speeds to a minimum so that you won’t lose valuable customers. Learn more about MaxCDN and harness its power. • Easily drag, drop and rearrange the photos as you want them to appear in real time. • It optimizes loading speed by compressing image file information. • Makes sharing and selling photos and images easier. • It has plenty of customizing options, templates and tools to make things a lot easier on you. You can get your photo gallery up and running without investing too much time and money by downloading and making use of the Envira Gallery plugin. Contact lists, followers, subscribers and those who optin to your website can be current clients, but they should also be viewed as future clients, making them an extremely important part of the future of your business. 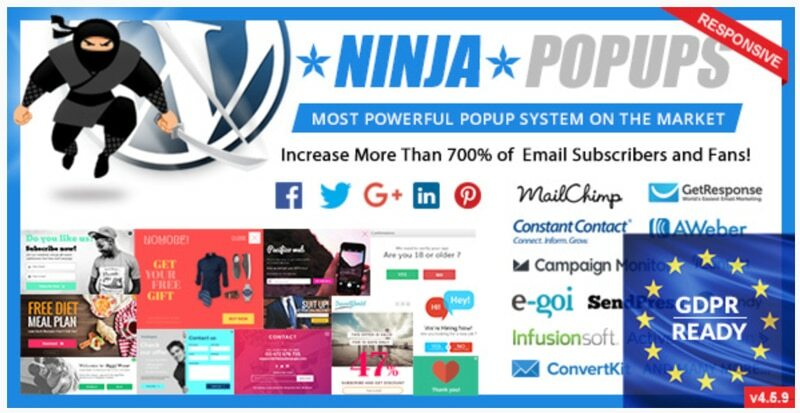 You cannot afford to lose any of these potential customers, so to prevent that from happening you should consider the Ninja Popups for WordPress plugin. How can it help you? • It is an easy way to create popups to keep clients from getting away before they optin, or become followers or subscribers. • There are a ton of customizing options, templates and themes to choose from. • It also provides statistics related to which popup styles or designs are the most effective at grabbing your customers. • It is easy to install, mobile ready, translatable, and the list simply goes on. Your business cannot afford to lose a single lead, so be sure to make every effort to keep them connected to you in some way. Making use of the Ninja Popups for WordPress plugin is a valuable solution to add to your box of tools.